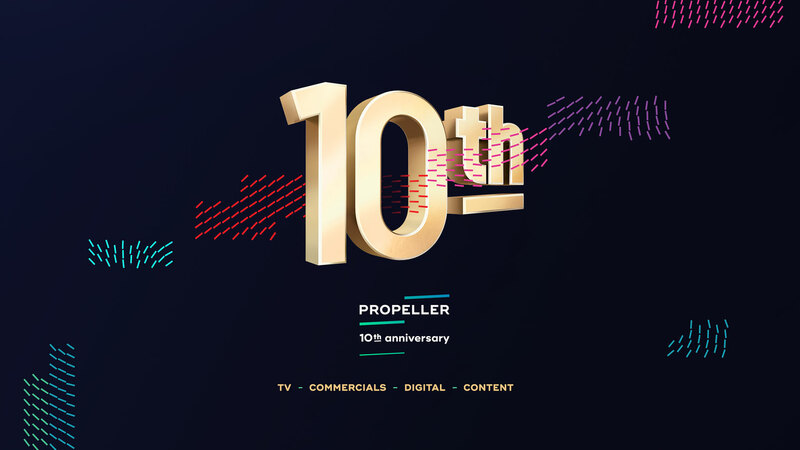 Propeller Film is a production house/film studio created by Jarek Boliński & Jakub Kubicki. We specialize in advertising and television film production as well as photo production. Exceptional animations, high-quality service, and creativity – these are our trademarks. Productions at home and abroad, professional connections with producers from around the world, and a proven team – are our extra assets. A unique combination of complementary personalities, an openness to new challenges, and hard work which our team is passionate about allow us to deliver creative solutions and top-quality productions at an international level. Welcome to Propeller! There can be only one queen! She watches over the budget of our small Propeller country like it was Fort Knox. Perfect, professional, and also Madam Proxy. Production assistant. She knows Propeller and all our productions inside out because she’s been with us from the start. Our biggest talent and the biggest heart. Accounting. She’s not just the perfect housewife but a perfect accountant as well. She keeps the company’s papers in order. She has won our hearts with her cheerfulness and her radiant smile. The producer all Clients want. Organizer of the healthiest PPMs in town. Perfect, effective, and imaginative. She’ll bring every project to a spectacular conclusion. She’ll calculate and do the accounts. She keeps a tight rein on Propeller’s numbers. Producer, founder, and managing partner. He has been working in the media business since 1994. He produces our current TV, feature, and advertising projects. He’s also responsible for new business and publicity for the company. Privately a collector of music and high-quality sounds. Experience and composure. His cold blood and a healthy distance are the guarantee of calm and control over productions even in the craziest situations. Producer, founder, and managing partner. In advertising production since 1996, meaning he can produce anything anywhere… always in top quality. Privately a glider and airplane pilot. Marketing & PR, new business development, digital content producer, music clearance – simply one man band! Producer. Culture and class is his middle name. His efficient style of work means that everyone wants to work with him. Producer. Precise and eloquent. An oasis of calm and master of diplomacy, what is very precious for our customers. When time allows, with a creative touch he realizes boutique productions in the field of classical music. Editor. Loves cutting, snipping, chopping, and slicing, hence the association with Edward Scissorhands. However, he never leaves cut material in disarray, putting together great making-ofs and presentations. Sometimes he dips his fingers (or scissors) in our larger productions. He’s our editor for special assignments. Not just his sheer muscle and innate cunning in dodging traffic jams, but most of all the skillset of the best professional driver make him Van Damme, the unbeaten master of the road who, after hours, tirelessly practices martial arts.